According to the National Headache Foundation 29.5 million Americans suffer from migraine headaches, with women being affected three times more then men.1 Migraines can be debilitating and often lead to the inability to perform normal everyday activities, especially if they become full-blown. The burden of migraines isn’t just physical pain and suffering. These headaches carry an enormous amount of financial strain on both the patients who suffer from them and on our country as a whole. Recent data has shown that the direct costs of treating migraines—including doctor visits, medications, emergency room visits, diagnostic tests, etc.—is over $11 billion a year in the United States.2 This works out to an average of $2,571 annually for each individual. Indirect costs—due to things like decreased productivity and absenteeism from work—are estimated at nearly $12 billion annually.3 Needless to say, migraine headaches are more than just a pain in the neck. I know firsthand the burdens migraines cause because, like many sufferers, I’ve been facing them for nearly three decades now, ever since I was 10 years old. As a pharmacist, I’ve always looked towards medications as a solution to my problems, but this has only provided temporary relief at best. However, I learned about the benefits of a whole foods, plant-based diet in combatting migraines a number of years ago, and now I fight migraines with food and not pills. I hope to share with you some insights from what I’ve learned to help you make your migraines disappear forever, or, at the very least, reduce their duration and frequency. When these pain receptors are overly activated, pain and blood flow changes occur resulting in a migraine headache. The headache is typically a pulsating or throbbing pain located in the front of the head behind one eye that may or may not be accompanied by visual disturbances, sensitivities to light and sound, nausea, vomiting, and dizziness. Some people may even get an aura (zigzag lines, flashing lights, blind spots, etc.) ten to fifteen minutes before a migraine headache warning them of the oncoming headache. The key to making your migraines disappear forever is finding out what’s triggering them. This flies in the face of conventional medicine, which focuses on treating the symptoms after a migraine has already occurred. Conventional treatments rely on powerful medications as first line therapy. These medications usually come with some sort of side effect(s) which will be covered later in this article. Other factors may include a magnesium deficiency, the use of certain medications such as birth control, hormone replacement therapy, and even the continued use of medications used to treat the migraine in the first place (i.e. Excedrin Migraine, Fioricet, Midrin, Triptans, etc. ).7-10 Overuse of these medications has been shown to cause rebound headaches that can hang around for days or even weeks. However, the most likely offender responsible for triggering migraines is found right there on your dinner plate. If you end up in your doctor’s office as a result of a migraine then chances are the first thing that’s going to happen is the prescription pad is going to come out. Most likely, you’ll be prescribed a medication without ever having a discussion about the true cause of your headache. 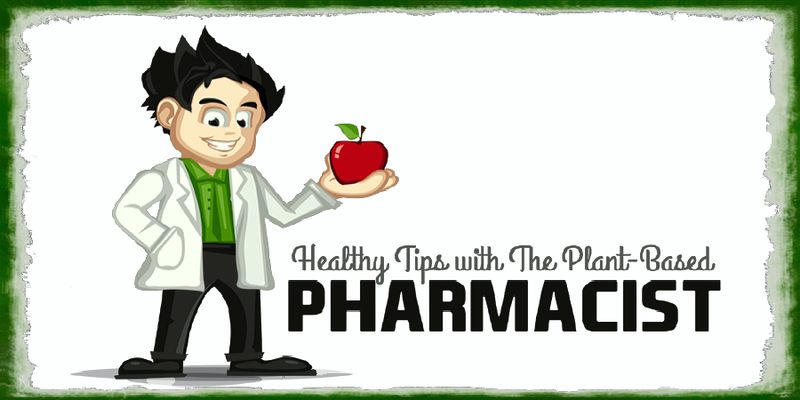 The same holds true if you skip the doctor’s office and opt for advice from your local pharmacist. You’re sure to end up in the OTC aisle where the pain relievers are found, discussing the benefits and risks of each pain medication in treating your migraine. In addition to these, some powerful pain medications like opioids and barbiturates can become habit forming leading to physical and/or psychological dependence. Again, these medications only provide temporary relief and do nothing to address the cause of migraines. So how do you make your headaches disappear in only a matter of days or weeks? The answer for most people lies in changing the foods they eat. By removing the cause of most migraine headaches there’s no need to rely on potentially toxic medications since the headaches simply disappear for most people. 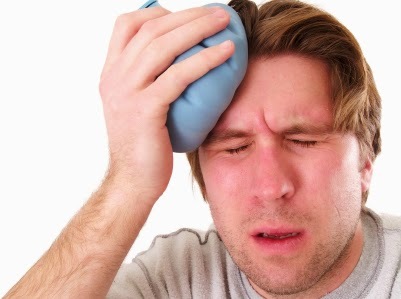 Migraines are largely a foodborne illness. If you take away the foods causing the problems you take away the illness. Since most of the foods responsible for causing migraines are animal-based and/or processed foods it’s best to avoid these all together. This includes alcohol and caffeinated beverages. Instead, individuals should adopt a whole foods, plant-based diet. By doing so, you’re likely to see your headaches disappear in no time, usually in a matter of a week or two. Understand that this is a lifestyle change, and if you go back to your old eating habits your headaches are likely to return. If adopting a whole foods, plant-based diet doesn’t resolve your migraines then look at eliminating some of the other foods that are still a part of the plant-based diet like gluten containing wheat products, citrus fruits, or nuts. Once you eliminate these foods try adding one item at a time back into your diet and see if your migraines return. If they do then you’ve likely found your food trigger. Dr. Joel Fuhrman and Dr. John McDougall have been treating patients suffering from migraines for their entire careers. They use a dietary approach like the one I’ve talked about here to help their patients become migraine-free. Dr. Fuhrman credits his vegetable-based, whole foods diet in curing over 90% of patients who come to him for their headache problems. 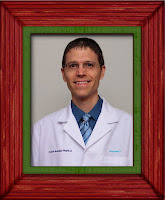 Dr. McDougall uses a starch-based, plant-based diet rich in fruits and vegetables to achieve the same results. These highly respected physicians use this approach because it works. It treats the cause of the disease instead of just suppressing the symptoms. If you’re one of the few whose headaches don’t improve after making these dietary changes then it may be wise to work with your physician to see if one of the lesser known causes of migraines may be causing your headaches. It is also wise to let your doctor know you are going to use dietary approaches to rid yourself of migraines when you start this program. 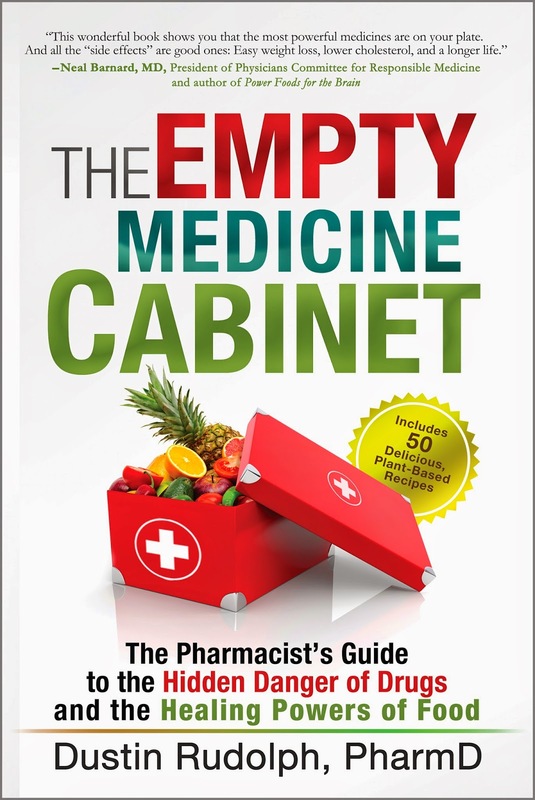 Do not attempt to change or eliminate any of your current medications without first consulting your physician because some medications have to be tapered off when discontinuing them in order to avoid withdrawals and other complications that may arise. Here’s to wishing you the very best in your quest to become headache-free. I hope you can enjoy many years to come without ever having to think of the pain and suffering that comes with migraines ever again. 1 The National Headache Foundation. “Migraine”. Available: http://www.headaches.org/. Accessed 2 Jan 2012. 2 Hawkins K, Wang S, Rupnow M. Direct cost burden among insured US employees with migraine. Headache. 2008 Apr;48(4):553-63. 3 Hawkins K, Wang S, Rupnow MF. Indirect cost burden of migraine in the United States. J Occup Environ Med. 2007 Apr;49(4):368-74. 4 Martins IP. [Migraine]. Acta Med Port. 2009 Sep-Oct;22(5):589-98. 5 Fukui PT, Gonçalves TR, Strabelli CG, et al. Trigger factors in migraine patients. Arq Neuropsiquiatr. 2008 Sep;66(3A):494-9. 6 Turner LC, Molgaard CA, Gardner CH, et al. Migraine trigger factors in non-clinical Mexican-American population in San Diego county: implications for etiology. Cephalalgia. 1995;15:523–530. 7 Sun-Edelstein C, Mauskop A. Role of magnesium in the pathogenesis and treatment of migraine. Expert Rev Neurother. 2009 Mar;9(3):369-79. Review. 8 Allais G, Gabellari IC, Airola G, et al. Headache induced by the use of combined oral contraceptives. Neurol Sci. 2009 May;30 Suppl 1:S15-7. 9 MacGregor EA. Estrogen replacement and migraine. Maturitas. 2009 May 20;63(1):51-5. 10 Smith TR, Stoneman J. Medication overuse headache from antimigraine therapy: clinical features, pathogenesis and management. Drugs. 2004;64(22):2503-14. Review. 11 Sun-Edelstein C, Mauskop A. Foods and supplements in the management of migraine headaches. Clin J Pain. 2009 Jun;25(5):446-52. Review. 12 Grant EC. Food allergies and migraine. Lancet. 1979 May 5;1(8123):966-9. 13 Bürk K, Farecki ML, Lamprecht G, et al. Neurological symptoms in patients with biopsy proven celiac disease. Mov Disord. 2009 Dec 15;24(16):2358-62. 14 Chawla J. Migraine Headache. Medscape. Updated 25 May 2011. 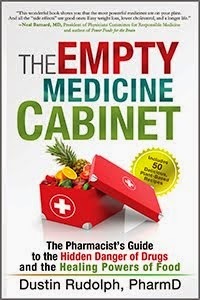 Available: http://emedicine.medscape.com/article/1142556-overview. Accessed 5 Jan 2012. 15 Egger J, Carter CM, Wilson J, et al. Is migraine food allergy? A double-blind controlled trial of oligoantigenic diet treatment. Lancet. 1983 Oct 15;2(8355):865-9. 16 Goldin BR, Adlercreutz H, Gorbach SL, et al. The relationship between estrogen levels and diets of Caucasian American and Oriental immigrant women. Am J Clin Nutr. 1986 Dec;44(6):945-53. 17 Shuster LT, Faubion SS, Sood R, et al. Hormonal manipulation strategies in the management of menstrual migraine and other hormonally related headaches. Curr Neurol Neurosci Rep. 2011 Apr;11(2):131-8. 18 Butler LM, Wu AH, Wang R, et al. A vegetable-fruit-soy dietary pattern protects against breast cancer among postmenopausal Singapore Chinese women. Am J Clin Nutr. 2010 Apr;91(4):1013-9. 19 Slavin JL. Mechanisms for the impact of whole grain foods on cancer risk. J Am Coll Nutr. 2000 Jun;19(3 Suppl):300S-307S. Review. Thanks for your information. It's very useful for me. I can get more knowledge about diet and healthy. Waitting for your new articles.